Outfit designed to inspire girls to pursue their love of the outdoors!! Brownie Girl Scout-inspired camping badge outfit. 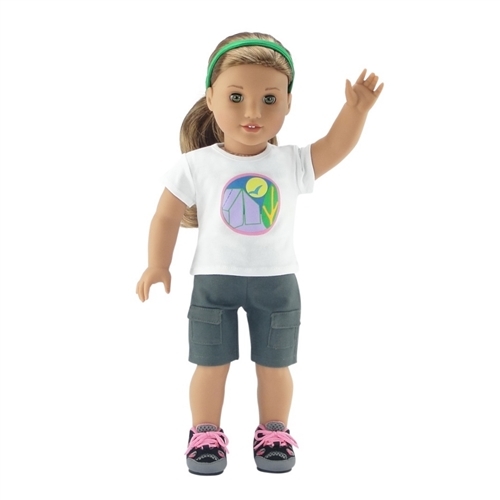 Fits 18" dolls and includes a soft, white t-shirt with colorful outdoor scene graphic designed to match the Browning camping badge. Also included are fantastic grey colored cargo shorts, a bright green headband and an amazing pair of pink and grey hiking boots! 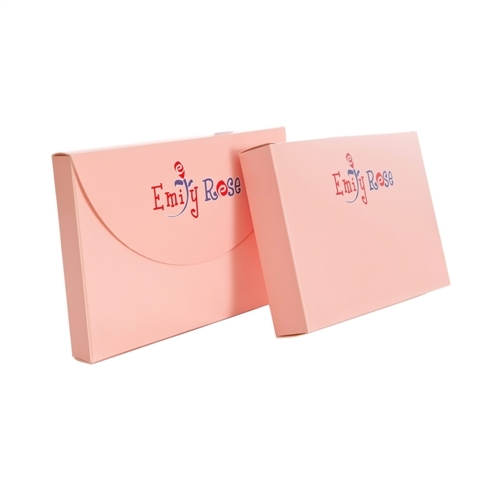 This awesome doll outfit features our no-grab Velcro, making getting dressed a snap, and comes packaged in our special pink Emily Rose gift box. A special addition to your 18 inch doll's Scouting wardrobe! Working hard for your Brownie camping badge? 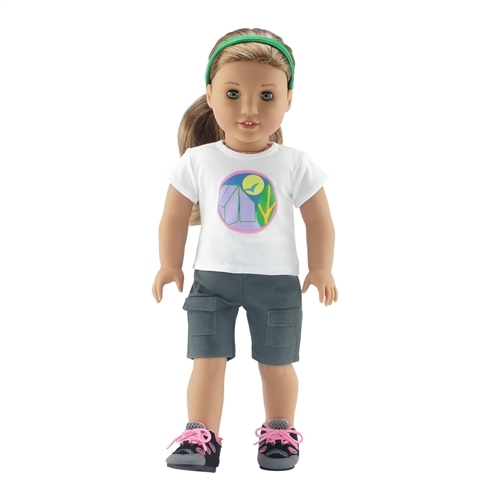 Your 18" doll will show her sprit with this awesome graphic tee and cargo short hiking outfit. Outfit Includes bright green headband and amazing pink and grey hiking boots!